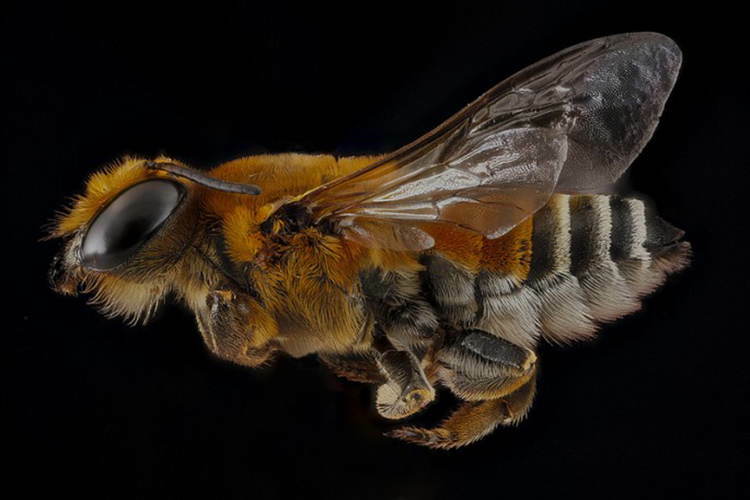 Despite their slight size, bees are an integral part of the world's agriculture. 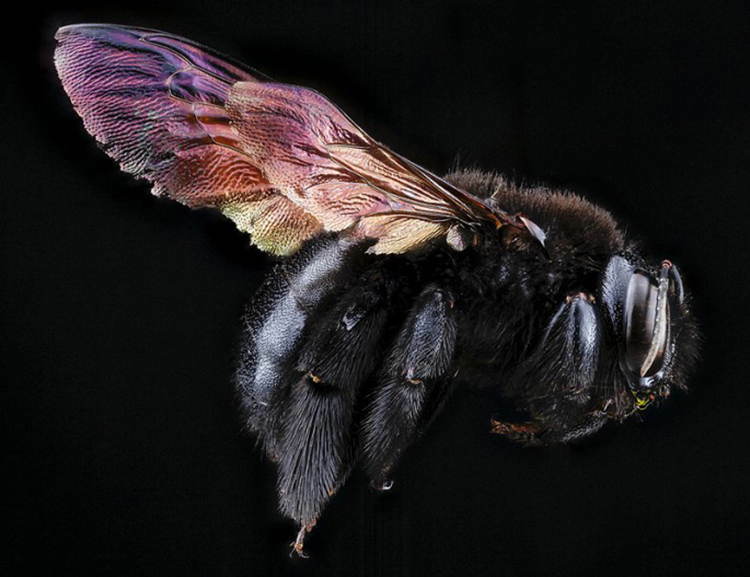 This macro bee photography provides us with a better understanding of them. 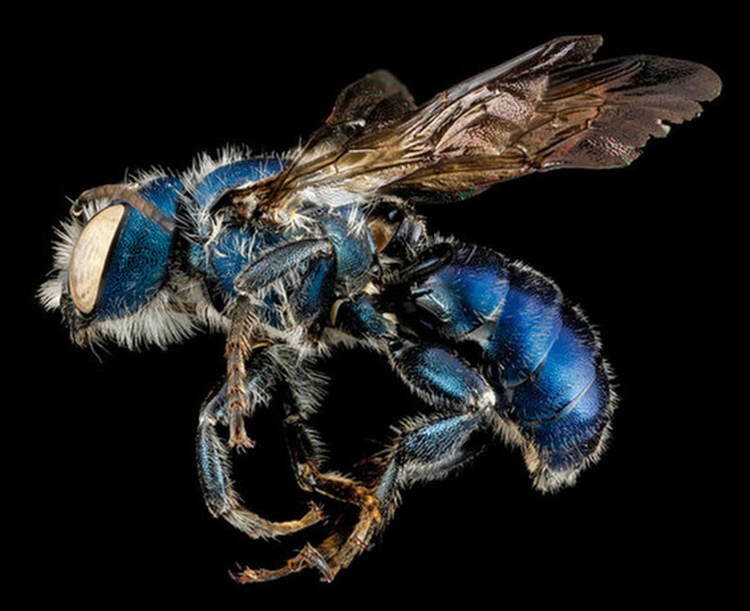 There are literally thousands of different bee species flying around out there, and it is biologist Sam Droege’s job to identify and document them, as head of the USGS Native Bee Inventory and Monitoring Program. 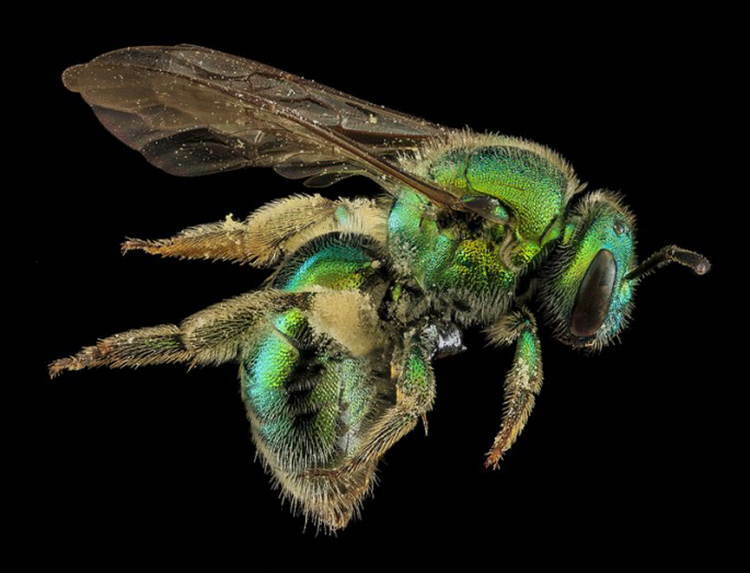 Located in Maryland, the program collects and carefully archives every detail of each species, including those so tiny that they can’t be discerned by the naked eye. Luckily, Droege is an extremely talented photographer, and is able to capture these fuzzy subjects in a manner that brings out their inner beauty. 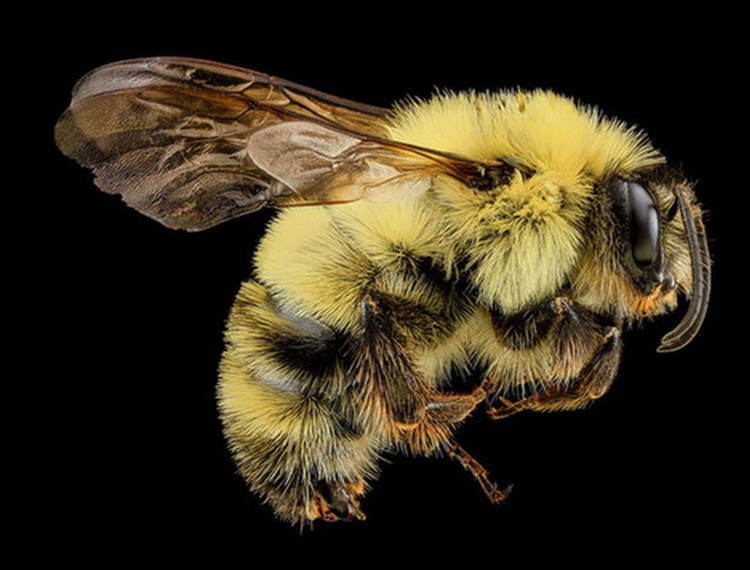 This initiative has been helping researchers and students identify bee species since 2010. 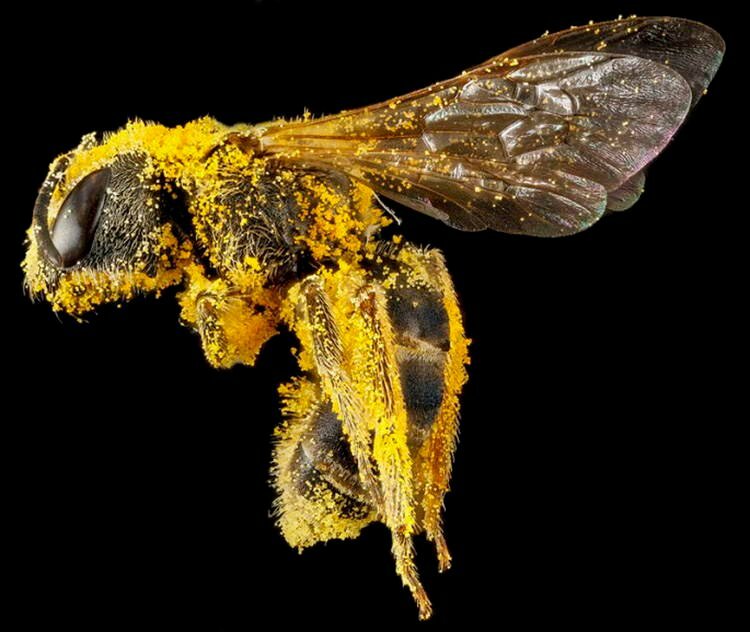 Pre-photo, each bee specimen gets a warm-water bath with dish soap, and is then blow-dried to clean, fluff, and generally bring attention to their brilliantly colored hairs (long, branched setae). 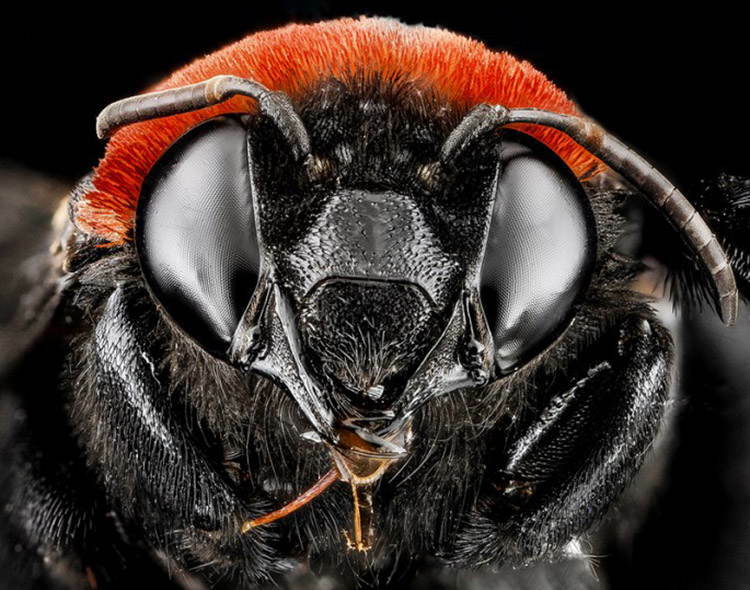 The photos are magnified up to five times the insect’s size , and each file is carefully filtered of dust and noise to make sure that the bee’s vibrance is front and center. “The insects themselves come with palettes of color that are naturally balanced, harmonious and draw you in,” says Droege. “The level of detail of the pictures and the offset flash lighting pops the small surface features, making visible what normally gets lost in lower resolution shots, and provides the depth and contrasts of sculptures and oil paints.” Droege explains. The future of bee populations remains uncertain, and has been well documented by major media outlets. Last year, many reporters covered the phenomenon known as Colony Collapse Disorder, which described a massive and seemingly spontaneous halving of of the world’s known worker bee population. Scientists have since linked the sudden rise in deaths to a new strain of pesticides, and even climate change. 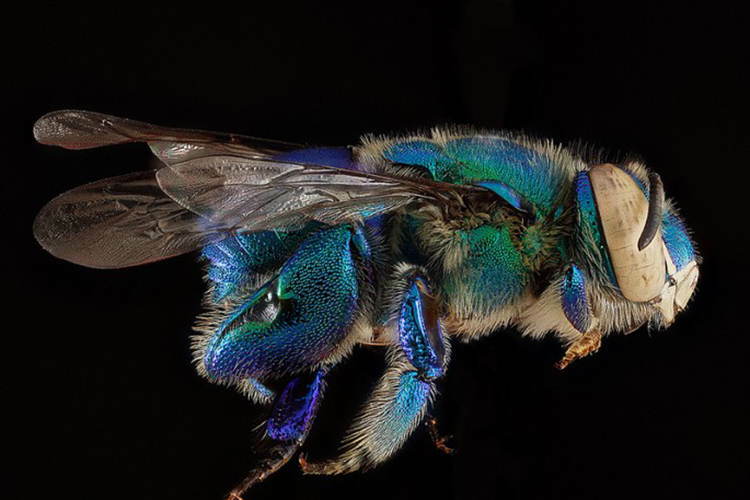 It is hoped that the research done by the scientists at the USGS Native Bee Inventory and Monitoring Program will help us understand what is happening with our bees, and stop Colony Collapse Disorder from claiming any more of these much-needed creatures. 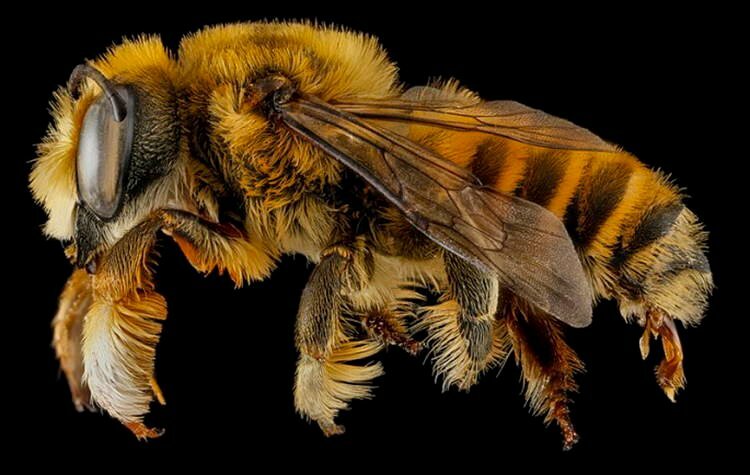 After all, so much of the world’s agriculture is dependent on honey bee pollination. With bee shortages, input costs for farmers have increased by 20%, leading to inflated food prices. 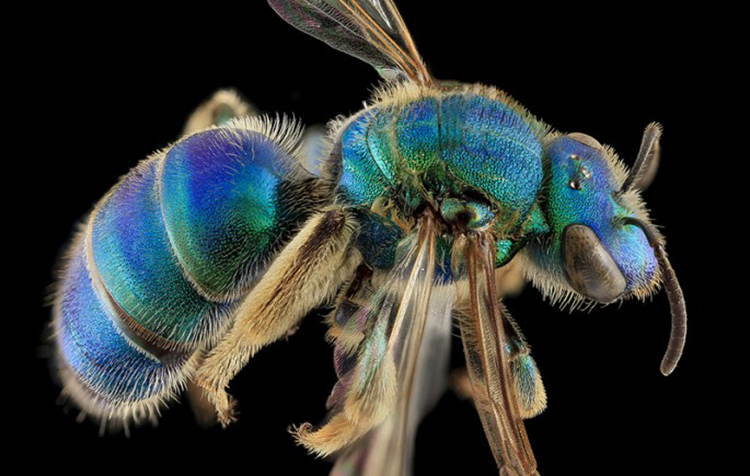 In addition to bees, Droege and his colleagues collect many other types of insects, including wasps, beetles, and crickets. Some are sent to his lab from other scientists and researchers; others Droege catches himself- near the lab, or his home in Upper Marlboro, Maryland. 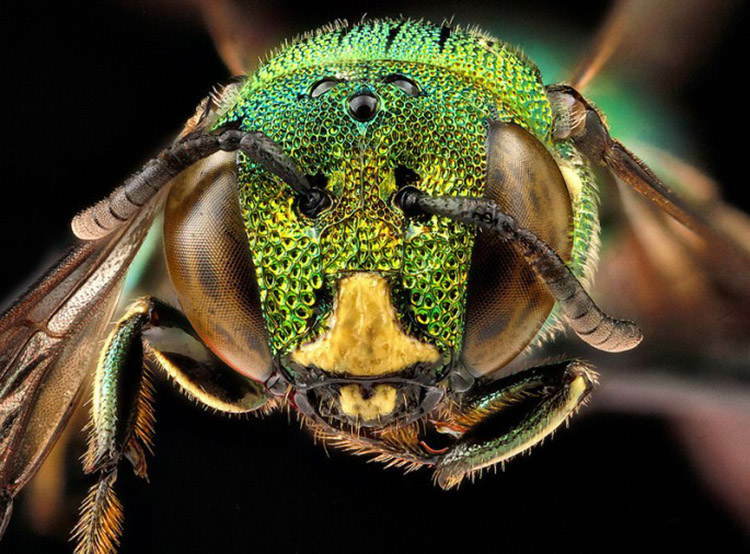 His images are used in identification manuals, posters, and guide books for insect enthusiasts everywhere. 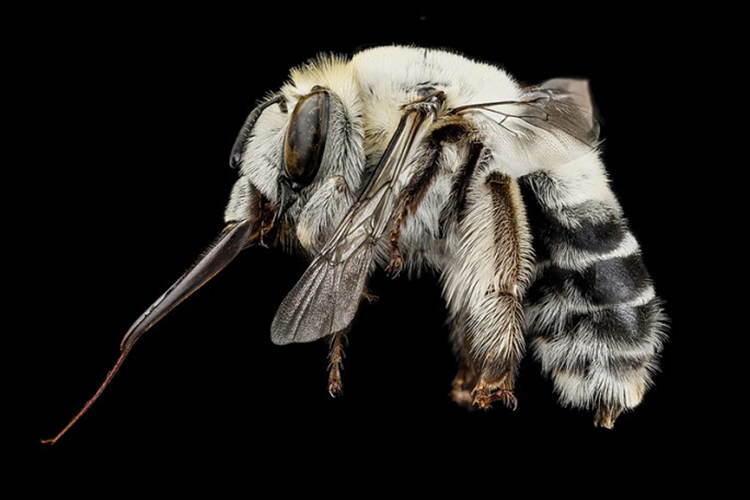 You can see all the spectacular macro-lens photos taken by Droege – nearly 1,700 so far – by visiting the USGS Bee Inventory and Monitoring Lab’s Flickr stream.